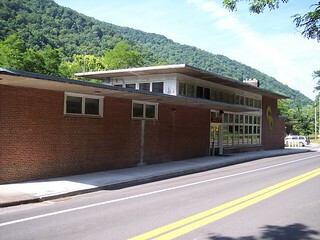 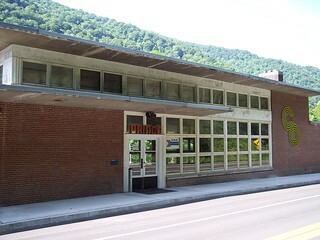 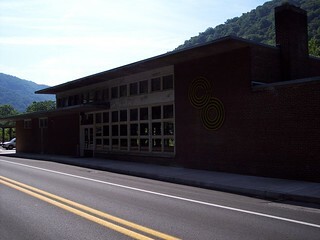 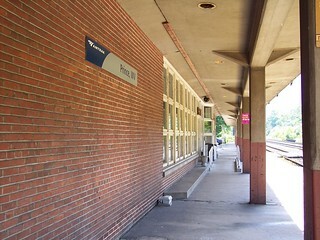 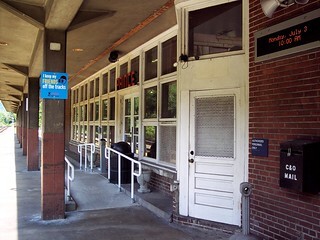 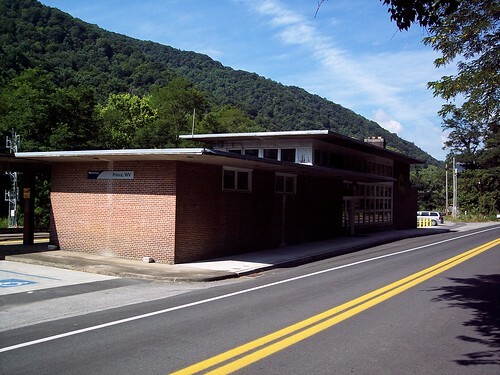 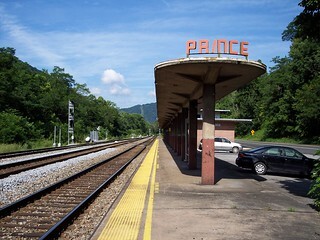 The Amtrak station in Prince. 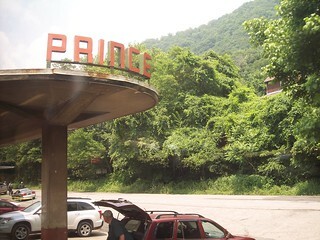 The large art deco Prince sign at the end of the station canopy. 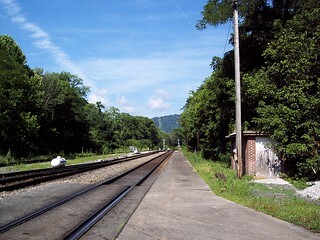 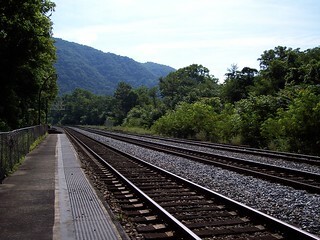 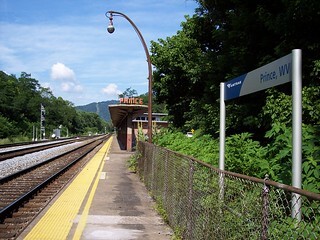 The C&O had long platforms in Prince.